This week’s edition of Antelope Intros features two counselors who have some interesting achievements to their names — and for one of them, be sure to get his name right. Adding lines of prose to a community story about Spongebob escaping a unicorn and a herd of fleas amid a green sea was one of the activities offered Friday during GCU’s celebration of the National Day on Writing. The activities, stressing written expression, were a big hit with passersby. 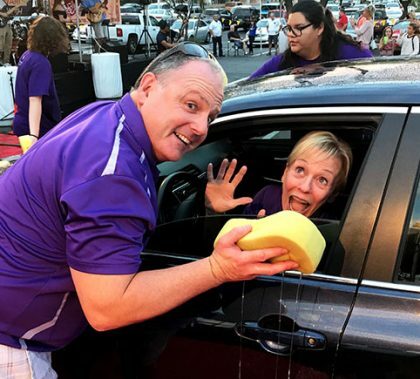 It was GCU night Wednesday at Paul’s Car Wash, — celebrating its 10th year of raising money for Big Brothers Big Sisters Central Arizona — and purple-clad helpers were on the scene washing cars for a purpose. Among volunteers were women’s basketball players and their coach, Nicole Powell, the Cheer, Dance and Pep Bands, and plenty of student and staff volunteers. The College of Humanities and Social Sciences is celebrating the National Day on Writing from 10 a.m. to 3 p.m. Friday on the Promenade. Faculty, students and staff are invited to participate in creative writing activities, including describing themselves in six-word autobiographies. 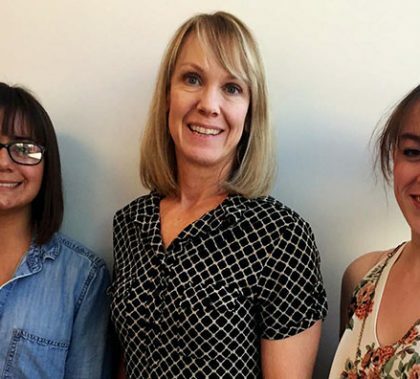 With 2,200 students involved in intramural sports and 800 to 1,000 in club sports, that’s a lot of sprains, strains and abrasions GCU’s student athletic trainers see during their clinical rotations. Those trainers also serve the campus community at such events as the Wellness Challenge weigh-in. It’s not just about learning for these student athletic trainers; it’s also about serving their fellow students. 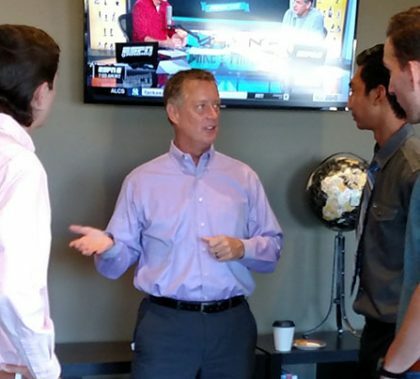 Sitting too much isn’t just kind of bad for you. It’s a major cause of health problems today. Fear is a natural human response, but phobias can greatly affect how we live. Here are some ways to overcome them. 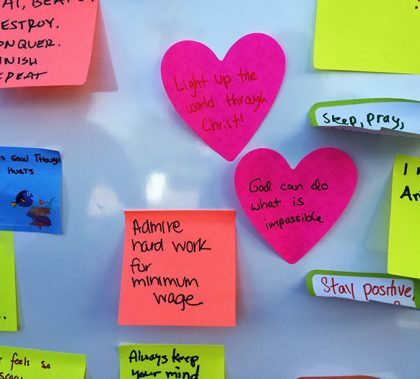 One by one, students stepped up Monday to take a pledge to end sexual violence. 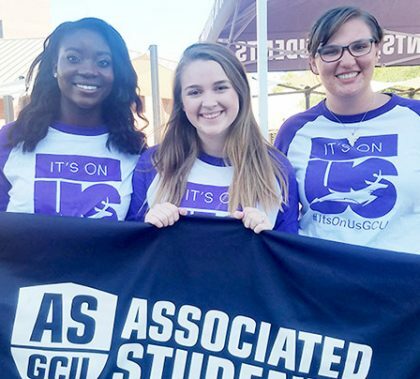 It was GCU’s part of a national campaign called “It’s On Us” that encourages campus communities to take an active role in preventing sexual assault and supporting its victims. Fr. 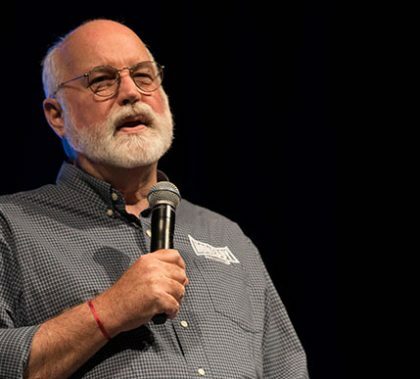 Greg Boyle’s talk at Chapel on Monday told stories of a ministry that truly makes a difference — for both the former gang members he employs and for him. “If we go to the margins, we all find rescue,” he said.